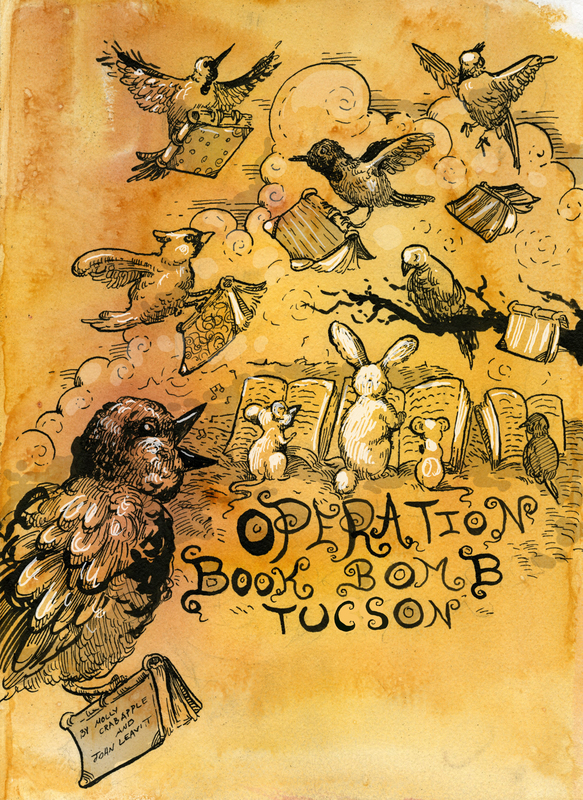 As many of you may have already heard The People’s Library in solidarity with Occupy Tucson recently launched an action called Operation Book Bomb Tucson. 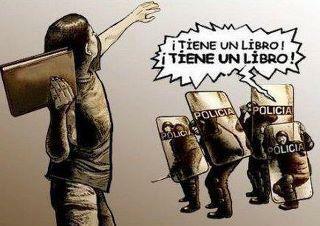 In response to the disgraceful decision of the Tucson Unified School District to end the ten-year old Mexican-American Studies program, and to ban books from the school curriculum The People’s Library is holding a series of teach-ins/book drives to support the Mexican-American community both in Tucson and throughout the U.S. We are collecting copies of the seven banned texts as well as Spanish language books, books on Mexican history, and books on Latino culture to ship out to the students and teachers of Tucson. We want to let the Mexican-American community know that we are not indifferent to their struggles, and to let the Tucson Unified School District know that a threat to educational freedom somewhere is a threat to educational freedom everywhere. Here is how you can help us. We have received some generous donations of books from publishers throughout the U.S. including Arte Público Press, NYU Press, and The Southwest Organizing Project. Follow these links and you can ship us copies of the seven banned books to add to our book bomb. We want to ship as many copies of them as we can out to the students and teachers of Tucson. The first two books listed can be purchased at 50% off thanks to the good people at Arte Público. Just let them know you are purchasing books for Operation Book Bomb Tucson! We encourage you to support publishers and your local independent bookstores with your purchases, but if you need to shop elsewhere online, we’ve also provided some links to Powell’s Books. Click the links below to purchase any of the titles below. Additionally we will be holding book donation drives and teach-ins here in New York City. Our first book donation event will be held at the next Occupy Town Square on Sunday, February 26 in Tompkins Square Park from 11AM to 5PM. Our second event will be held at Word Up Community Bookshop, 4157 Broadway @ 176th St in Washington Heights on Thursday, March 1, from 7PM-9PM featuring special guest speaker Chris Hedges. Please bring any books to these two events that you would like to donate to Operation Book Bomb Tucson. Keep those books coming and we will update you on our progress here. Thank you for supporting us and for supporting educational freedom everywhere. The weekly working group meeting of The People’s Library will be held this Sunday, February 5 at 6PM at the Atrium at 60 Wall St. Come and join us to hear all of the updates on our latest campaigns including Operation Book Bomb Tucson! This week our library working group meeting will be on Sunday, December 11 at 6PM at 60 Wall St. We hope to see lots of smiling faces there because we have many exciting things to discuss. Come on out and join us! Hello good friends of The People’s Library! This week our library working group meeting will be held at the atrium at 60 Wall St on Sunday, December 4 at 6:00PM. Please come and join us to discuss our action plans for the week, and our long-term goals for the future . We look forward to seeing all of your bright and supportive faces then. Peace! Our library working group meeting will take place this Sunday, November 27th at 7:30PM at The Moonstruck Diner, 244 Madison Ave on the corner of Madison and 38th St. All are welcome to attend to discuss the future of the People’s Library and the future of our occupation movement. We hope to see lots of you there!